The ultra-compact, mountable Panasonic AG-HCK10 POVCAM HD Camera teams with the AG-HMR10 AVCCAM handheld recorder to offer a low-cost Full HD camera recording system for a wide range of applications. 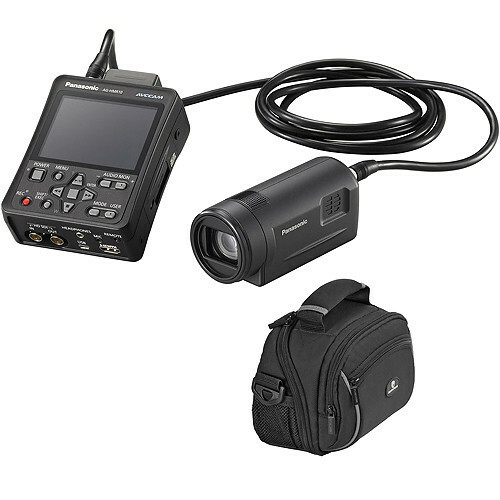 Connected to the HMR10 recorder with a detachable cable, the Panasonic AG-HCK10 POVCAM HD Camera captures 1920 x 1080 high definition video using three 1/4.1″ 3.05 megapixel 3-MOS imagers for recording by the HMR10 recorder in the AVCHD format, which provides double the recording time and higher quality than older MPEG-2 compression used in HDV formats. 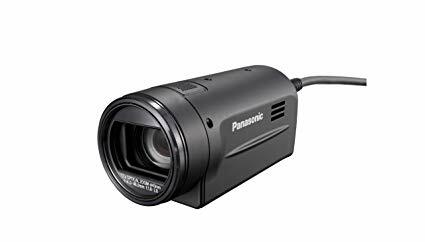 The Panasonic AG-HCK10 POVCAM HD Camera features a 12X optical zoom lens with 10X digital zoom,(up to 120X), optical image stabilizer (O.I.S. ), a built-in 2-channel microphone and a range of advanced tuning functions, including matrix, knee point, adjustable detail and chroma, white balance and zebra settings. Iris, focus and zoom are remotely controlled by the HMR10 recorder. It is powered by the HMR10 recorder. Battery-powered, it teams with the optional ultra-compact AG-HCK10 Full HD POV camera head to form a system suited to a wide range of applications including nature observation, video production, newsgathering, law enforcement, surveillance, sports, healthcare, and education. The recorder features a built-in 3.5″ LCD screen, flexible operation controls, and professional interfaces including HDMI output, USB 2.0, and HD-SDI input/output, which allows use as a standalone recorder for any HD-SDI-capable camera, switcher and deck. The unit records stunning full HD 1920×1080 resolution images onto low-cost SD memory cards in three recording modes: the highest quality PH mode (average 21 Mbps/max. 24 Mbps); HA mode (approx. 17 Mbps); and HG mode (approx. 13 Mbps). The fourth recording mode, HE (approx. 6 Mbps), records at 1440×1080. On a single 32GB SD card, the HMR10 can record for up to 3 hours in PH mode and up to 12 hours in HE mode. HD formats include 1080/60i, 1080/50i, 720/60p and 720/50p. With input from the AG-HCK10 camera head, the HMR10 will also record 1080/30p, 1080/25p and 1080/24p, with content instantly available in thumbnail clips.Note: Camera and recorder are rented separately. AVCHD video files can be quickly transferred to a hard drive for use on the web. 3.5 color LCD monitor displays clips in easily accessed thumbnail view. Useful LCD Reverse flips the image on the display (this does not affect the recorded image). HD images can be downconverted and output as SD images (via HD-SDI input and HD/SD-SDI output). Optional 20-pin cable connects HCK10 to the HMR10. Other options include 9’8″ cable or a 65′ for longer distances. Color bar and tone, key lock, camera remote controls (compatible with camera remote controllers for AG-DVX100, , AG-HMC150, AG-HMC40 Series). Time and date and TC/UB can be inserted into the recorded signal. Connects easily to monitors or large displays via HDMI output terminal for playback; Auto repeat playback function for digital display applications. Operates on battery or 7.2V DC power (power for AG-HCK10 camera is supplied by the AG-HMR10). VWVBG260PP1 7.2V, 2640mA battery included.